In the process, carbon dioxide (CO2) from the environment enters the stomata (tiny pores) on the underside of leaves, where it is joined by water that has traveled from the roots of plants and is transported up to the leaves through vascular bundles (veins). Sunlight is absorbed by chlorophyll, a green pigment located in chloroplasts, cell structures that are the locus of photosynthesis. 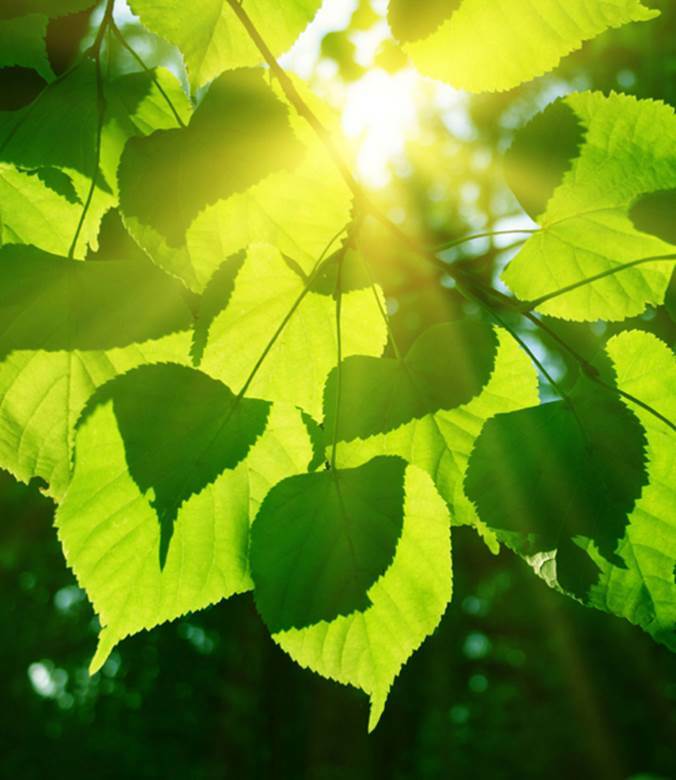 Photosynthesis occurs in two stages: light reactions and dark reactions. In the light reaction, sunlight is converted to chemical energy and stored in the form of adenosine triphosphate (ATP) and NADPH, a high-energy electron-carrying molecule. In the dark reaction stage, carbon dioxide, ATP and NADPH are converted to the sugar glucose (C6H12O6), which is stored in plant leaves, and oxygen is released through the stomata into the environment. SEE ALSO: Algae (c. 2.5 Billion BCE), Land Plants (c. 450 Million BCE), Metabolism (1614), Gas Exchange (1789), Plant Nutrition (1840), Phototropism (1880), Mitochondria and Cellular Respiration (1925). The survival of living organisms depends upon the process of photosynthesis, which provides organic food from inorganic molecules in the presence of sunlight and oxygen. Chlorophyll, a green pigment, gives leaves their color and is critical in this process.